The shafts of hand whaling harpoons was made of soft iron. This had enough tensile strength to be able to pull the boat without breaking, but was soft enough to be able to bend fairly easily under the strain. 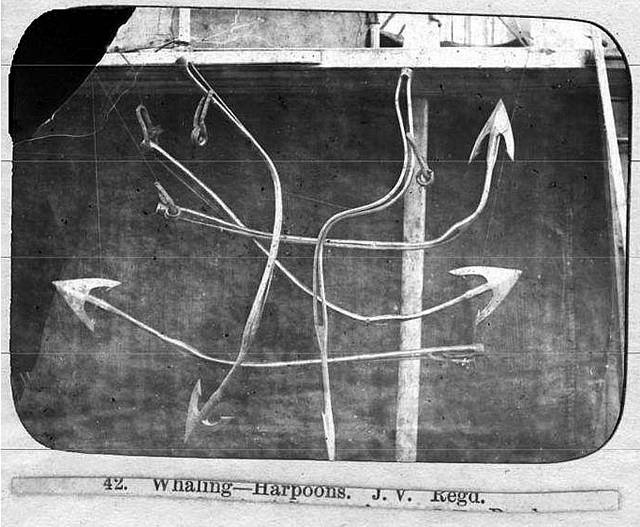 Bending meant that the pull on the head of the harpoon was directed through an angle depending on how it entered the whale, and the angled pull meant that the harpoon was less likely to come out and so the whale be lost. All whaling ships therefore, right up to the industrial days had a blacksmith on board and part of his job was to re-straighten harpoons so that they could be used again.